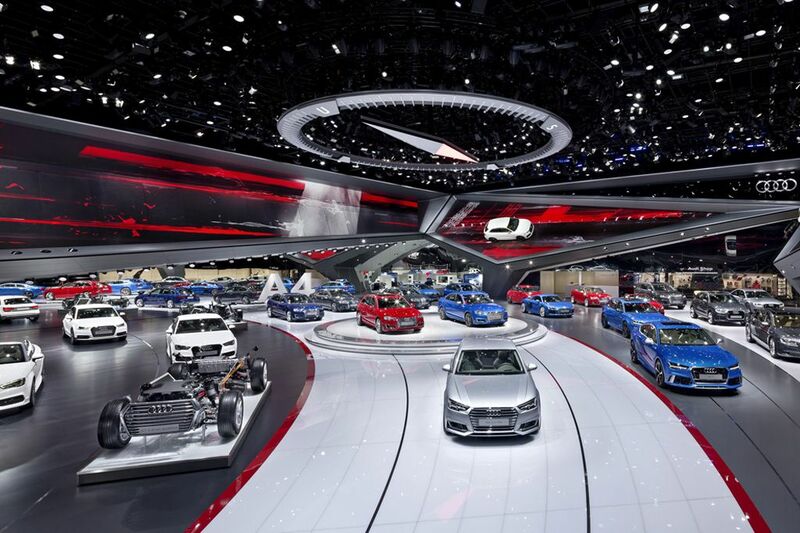 The International Motor Show is one of the largest and most internationally significant automotive trade shows in the world. 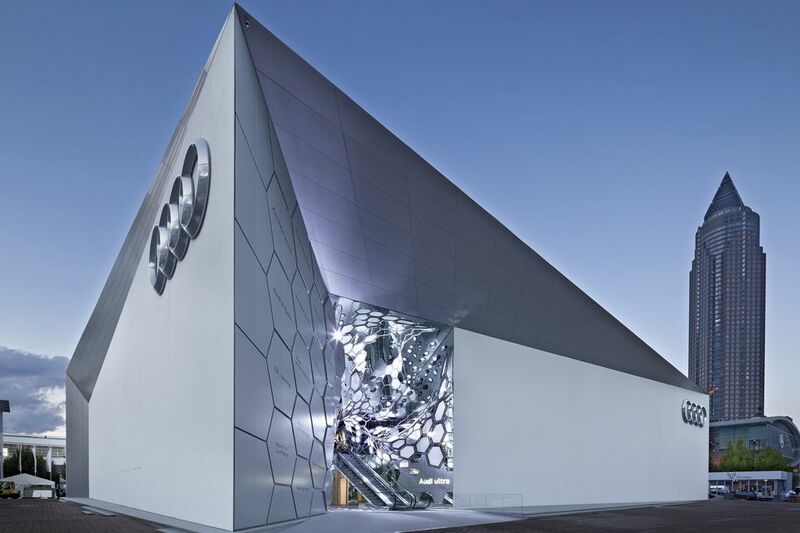 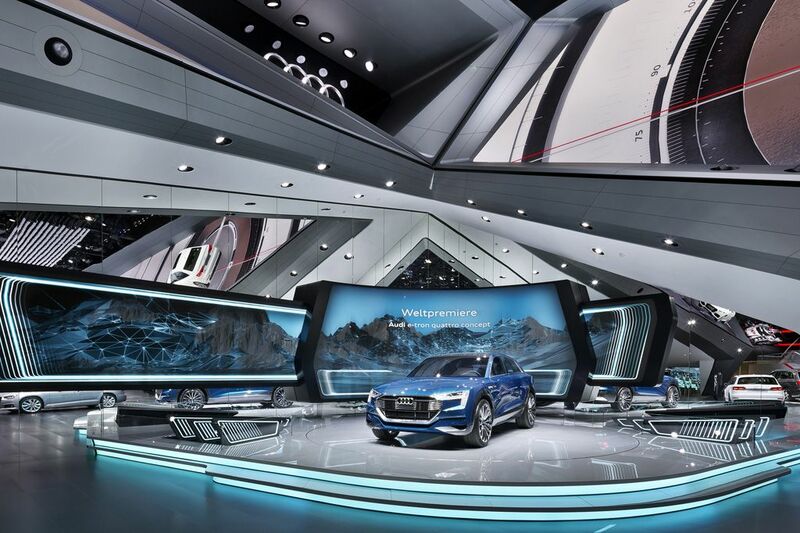 For this event, Audi commissioned a three-storey trade fair construction with a footprint of 70 by 55 metres that would provide space for more than 30 cars in the Agora, an outdoor exhibition area in Frankfurt. 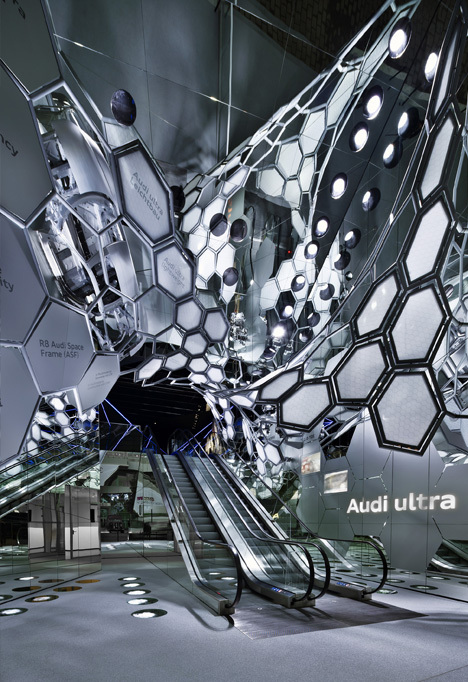 A special feature of the project from a structural planning point of view was the “ultrastructure” in the centre of the exhibition space. 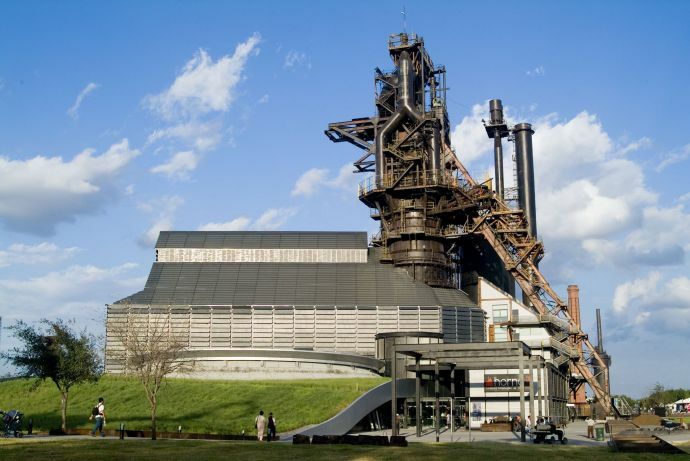 The supporting framework for this special construction consisted of a complex steel structure with enhanced span distances. 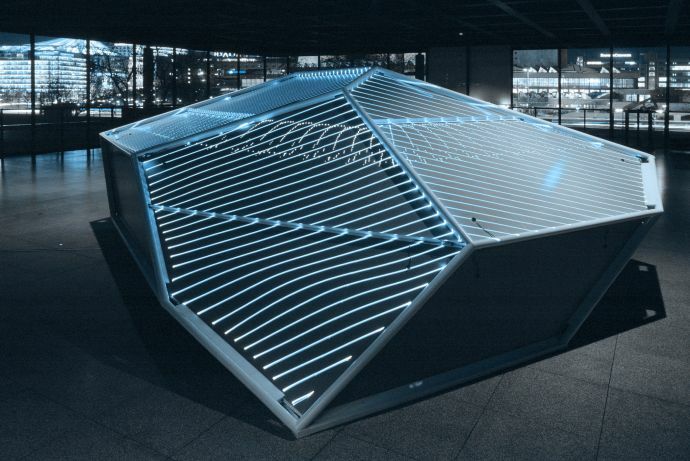 The structure itself was entirely clad in LED elements and adorned with a selection of rotating vehicles. Further special features included the complex steel honeycomb structure in the entrance area of the exhibition hall and a room with walls made entirely out of blocks of ice.